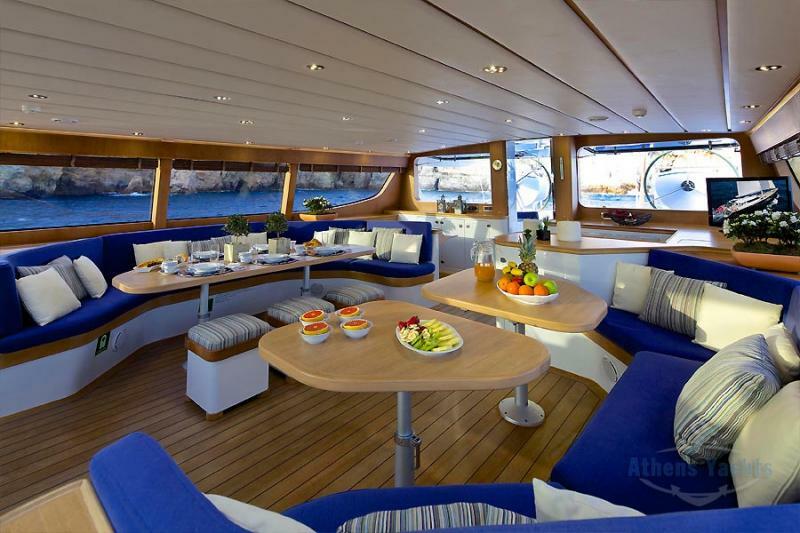 Luxury sailing yacht ALLURE was designed by naval architect Angelo Lauranos and built by Sterling Yachts of South Africa, she measures 40.53m (133ft). 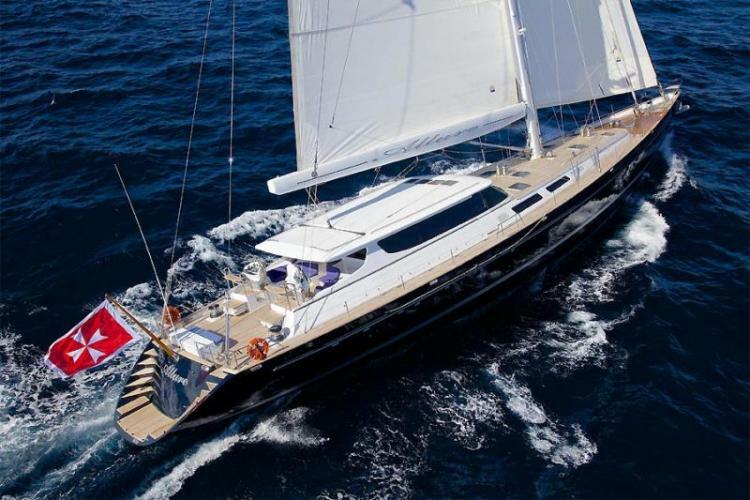 S/Y ALLURE ) was refitted in 2009 and can accommodate up to 10 charter guests in 4 en-suite cabins. 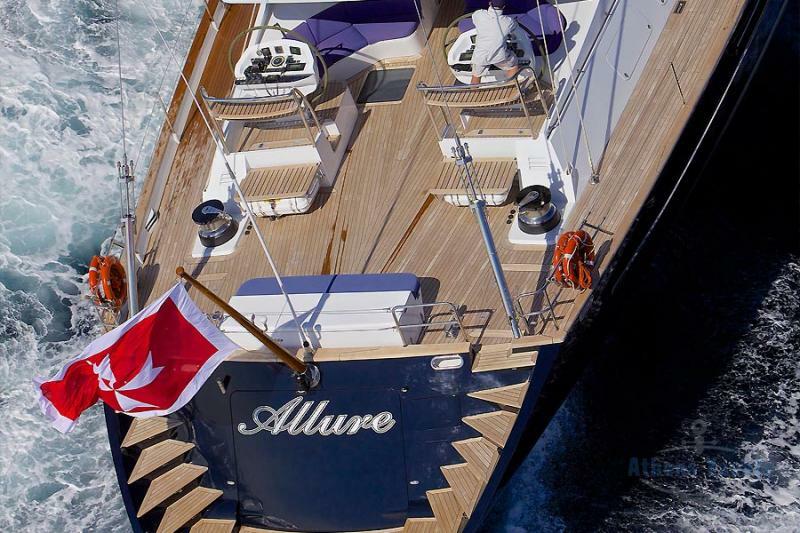 ALLURE offers a dedicated crew of 6. 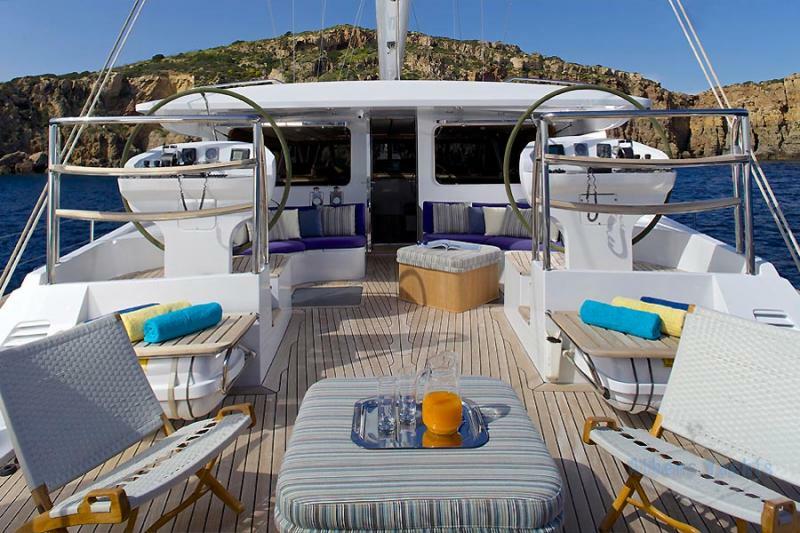 Available for chartering in East Mediterranean and Greece. 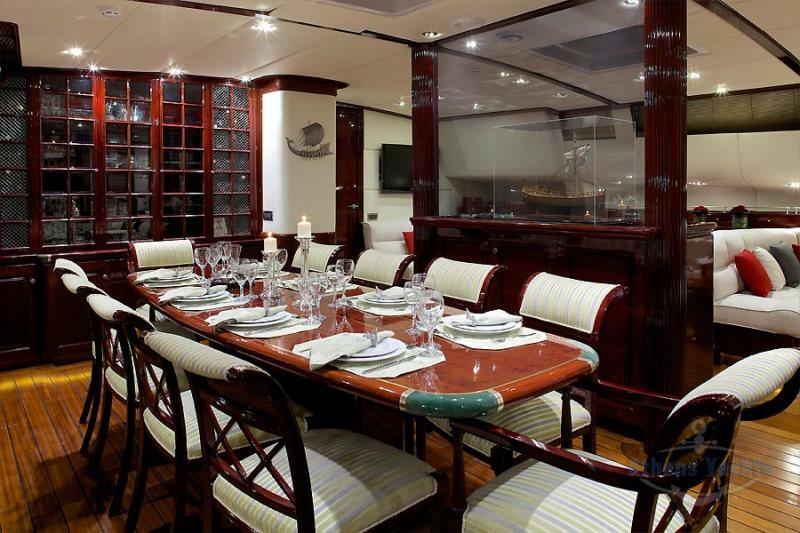 Notes: 3G Internet connection.Sat TV, DVD, CD stereo surround system in Salon, Master cabin and Guest cabins. 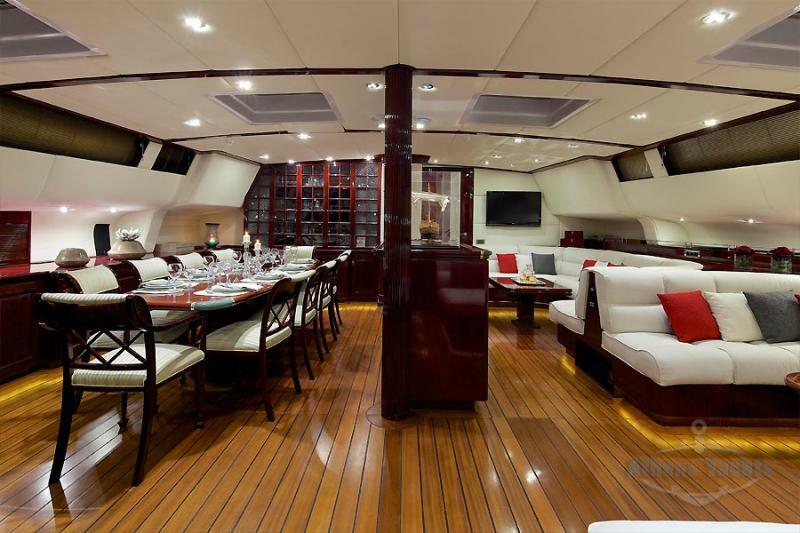 One Jet Tender Castoldi 4,2m with 125hp Yanmar Diesel engine, water ski, wake board, tubes, SUP, kayak, snorkeling and fishing equipment. 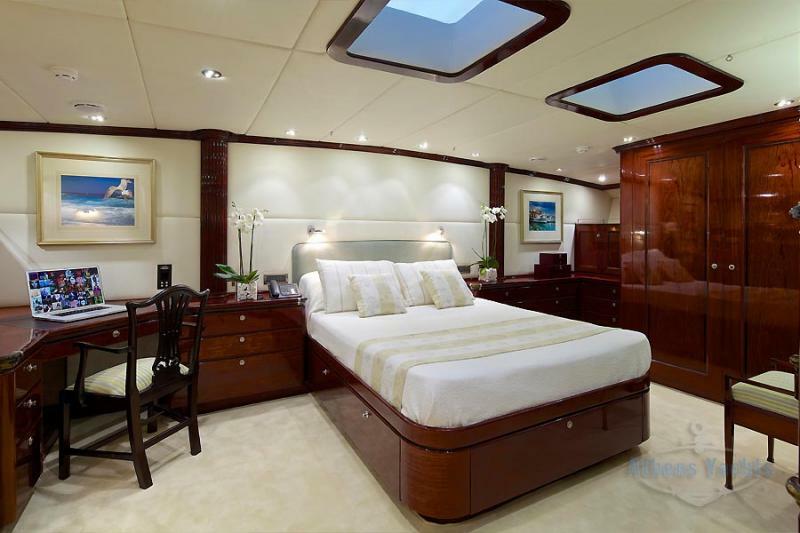 Sheets, Linens, Taxes, Water & Gaz on embarkation, Dinghy, & Standard Inventory.